We propose an efficient and interpretable scene graph generator. We consider three types of features: visual, spatial and semantic, and we use a late fusion strategy such that each feature's contribution can be explicitly investigated. We study the key factors about these features that have the most impact on the performance, and also visualize the learned visual features for relationships and investigate the efficacy of our model. We won the champion of the OpenImages Visual Relationship Detection Challenge on Kaggle, where we outperform the 2nd place by 5\% (20\% relatively). We believe an accurate scene graph generator is a fundamental stepping stone for higher-level vision-language tasks such as image captioning and visual QA, since it provides a semantic, structured comprehension of an image that is beyond pixels and objects. This article describes the model we built that achieved 1st place in the OpenImage Visual Relationship Detection Challenge on Kaggle. Three key factors contribute the most to our success: 1) language bias is a powerful baseline for this task. We build the empirical distribution $P(predicate|subject,object)$ in the training set and directly use that in testing. This baseline achieved the 2nd place when submitted; 2) spatial features are as important as visual features, especially for spatial relationships such as "under" and "inside of"; 3) It is a very effective way to fuse different features by first building separate modules for each of them, then adding their output logits before the final softmax layer. We show in ablation study that each factor can improve the performance to a non-trivial extent, and the model reaches optimal when all of them are combined. Most scene graph generators use a two-stage pipeline to detect visual relationships: the first stage detects entities, and the second predicts the predicate for each entity pair using a softmax distribution. We find that such pipelines, trained with only a cross entropy loss over predicate classes, suffer from two common errors. The first, Entity Instance Confusion, occurs when the model confuses multiple instances of the same type of entity (e.g. multiple cups). The second, Proximal Relationship Ambiguity, arises when multiple subject-predicate-object triplets appear in close proximity with the same predicate, and the model struggles to infer the correct subject-object pairings (e.g. 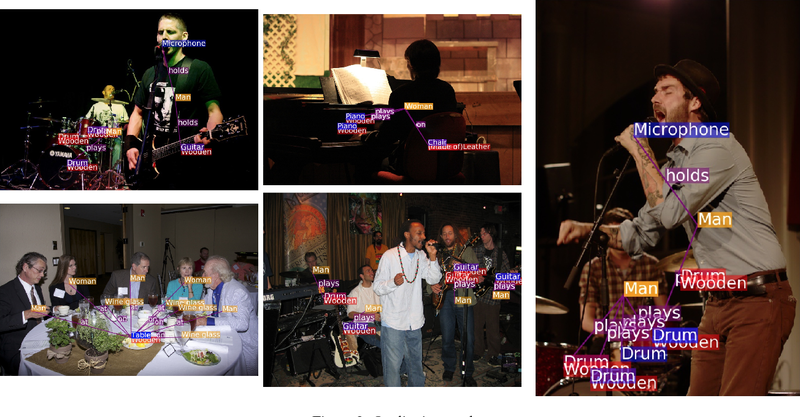 mis-pairing musicians and their instruments). We propose a set of contrastive loss formulations that specifically target these types of errors within the scene graph generation problem, collectively termed the Graphical Contrastive Losses. These losses explicitly force the model to disambiguate related and unrelated instances through margin constraints specific to each type of confusion. We further construct a relationship detector, called RelDN, using the aforementioned pipeline to demonstrate the efficacy of our proposed losses. Our model outperforms the winning method of the OpenImages Relationship Detection Challenge by 4.7\% (16.5\% relative) on the test set. We also show improved results over the best previous methods on the Visual Genome and Visual Relationship Detection datasets. We propose learning flexible but interpretable functions that aggregate a variable-length set of permutation-invariant feature vectors to predict a label. We use a deep lattice network model so we can architect the model structure to enhance interpretability, and add monotonicity constraints between inputs-and-outputs. We then use the proposed set function to automate the engineering of dense, interpretable features from sparse categorical features, which we call semantic feature engine. 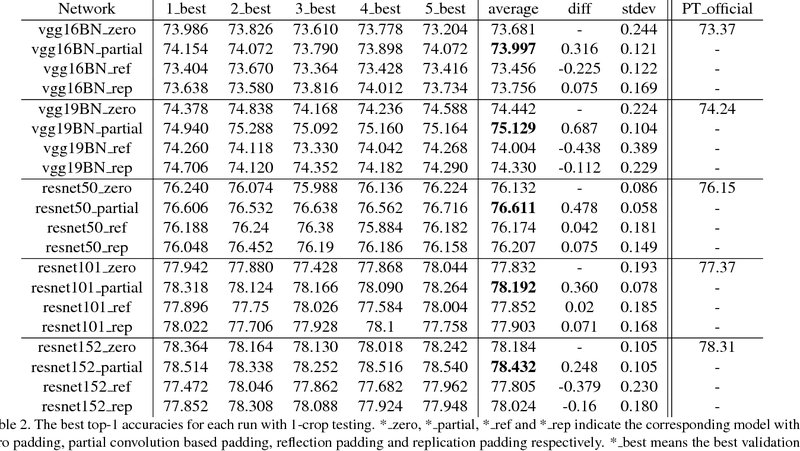 Experiments on real-world data show the achieved accuracy is similar to deep sets or deep neural networks, and is easier to debug and understand. 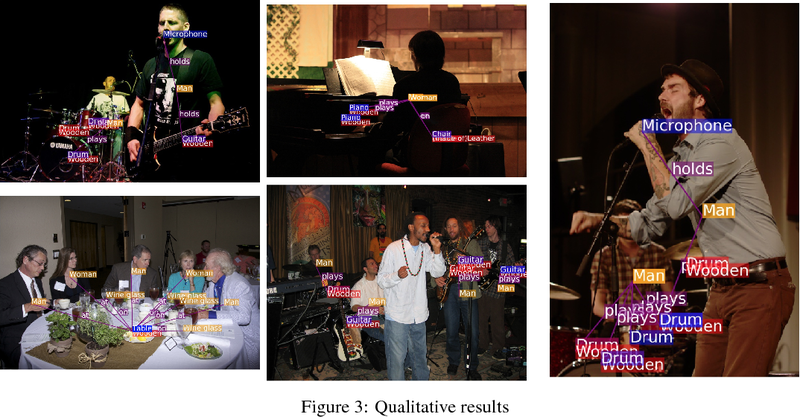 Existing deep learning based image inpainting methods use a standard convolutional network over the corrupted image, using convolutional filter responses conditioned on both valid pixels as well as the substitute values in the masked holes (typically the mean value). This often leads to artifacts such as color discrepancy and blurriness. Post-processing is usually used to reduce such artifacts, but are expensive and may fail. We propose the use of partial convolutions, where the convolution is masked and renormalized to be conditioned on only valid pixels. We further include a mechanism to automatically generate an updated mask for the next layer as part of the forward pass. Our model outperforms other methods for irregular masks. We show qualitative and quantitative comparisons with other methods to validate our approach. 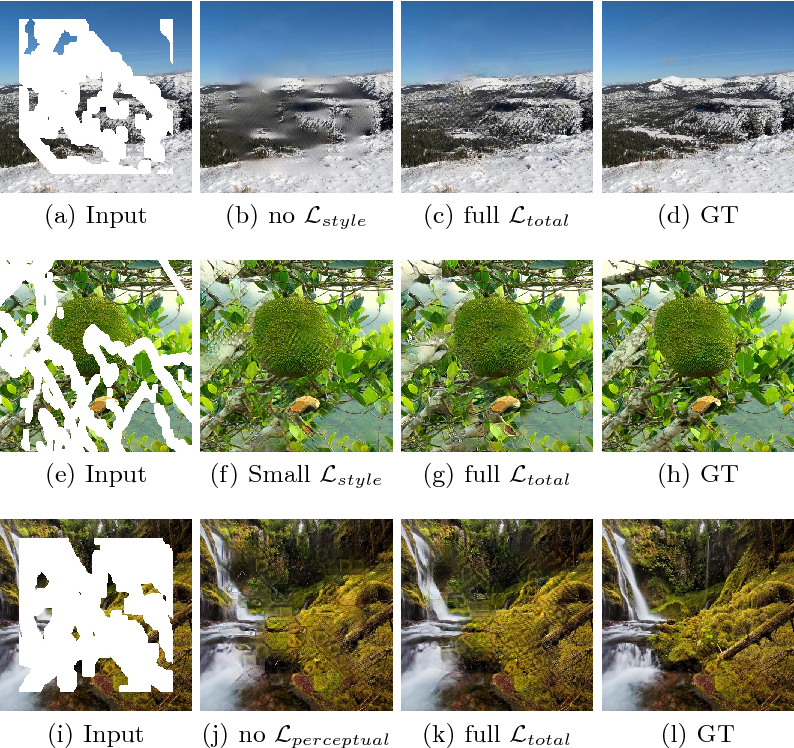 Semantic segmentation requires large amounts of pixel-wise annotations to learn accurate models. 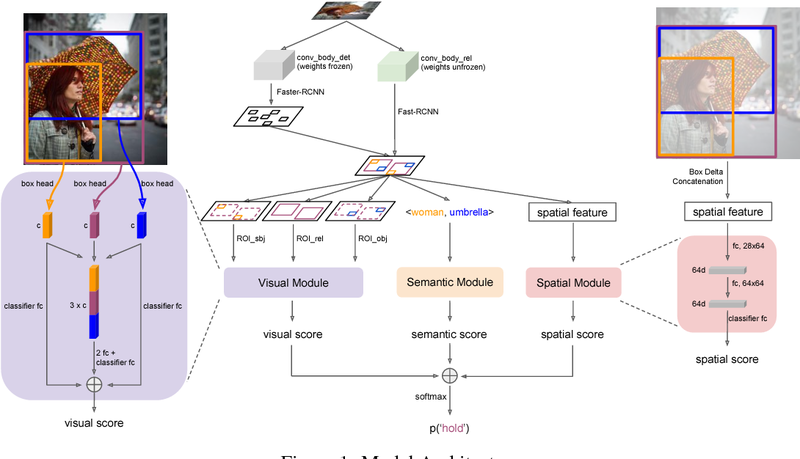 In this paper, we present a video prediction-based methodology to scale up training sets by synthesizing new training samples in order to improve the accuracy of semantic segmentation networks. We exploit video prediction models' ability to predict future frames in order to also predict future labels. A joint propagation strategy is also proposed to alleviate mis-alignments in synthesized samples. We demonstrate that training segmentation models on datasets augmented by the synthesized samples leads to significant improvements in accuracy. 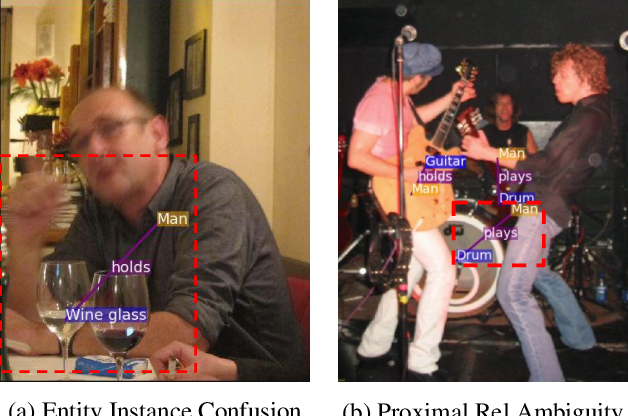 Furthermore, we introduce a novel boundary label relaxation technique that makes training robust to annotation noise and propagation artifacts along object boundaries. 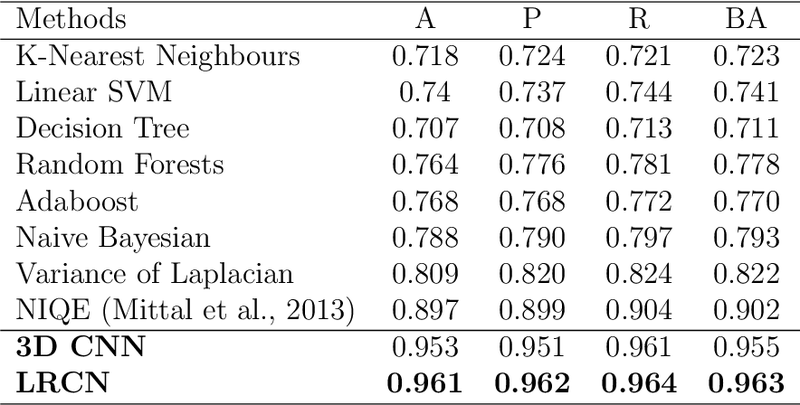 Our proposed methods achieve state-of-the-art mIoUs of 83.5% on Cityscapes and 82.9% on CamVid. Our single model, without model ensembles, achieves 72.8% mIoU on the KITTI semantic segmentation test set, which surpasses the winning entry of the ROB challenge 2018. Our code and videos can be found at https://nv-adlr.github.io/publication/2018-Segmentation. While emerging deep-learning systems have outclassed knowledge-based approaches in many tasks, their application to detection tasks for autonomous technologies remains an open field for scientific exploration. Broadly, there are two major developmental bottlenecks: the unavailability of comprehensively labeled datasets and of expressive evaluation strategies. Approaches for labeling datasets have relied on intensive hand-engineering, and strategies for evaluating learning systems have been unable to identify failure-case scenarios. Human intelligence offers an untapped approach for breaking through these bottlenecks. This paper introduces Driverseat, a technology for embedding crowds around learning systems for autonomous driving. 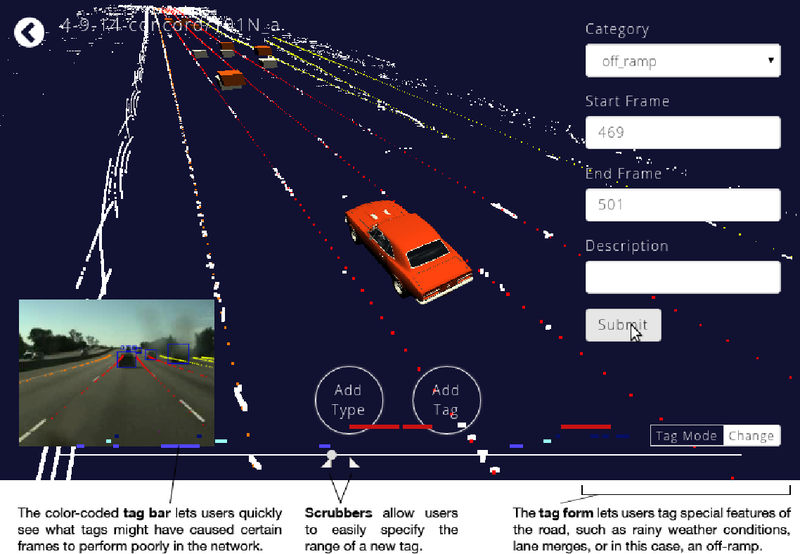 Driverseat utilizes crowd contributions for (a) collecting complex 3D labels and (b) tagging diverse scenarios for ready evaluation of learning systems. We demonstrate how Driverseat can crowdstrap a convolutional neural network on the lane-detection task. More generally, crowdstrapping introduces a valuable paradigm for any technology that can benefit from leveraging the powerful combination of human and computer intelligence. We present an approach for high-resolution video frame prediction by conditioning on both past frames and past optical flows. Previous approaches rely on resampling past frames, guided by a learned future optical flow, or on direct generation of pixels. Resampling based on flow is insufficient because it cannot deal with disocclusions. Generative models currently lead to blurry results. Recent approaches synthesis a pixel by convolving input patches with a predicted kernel. However, their memory requirement increases with kernel size. 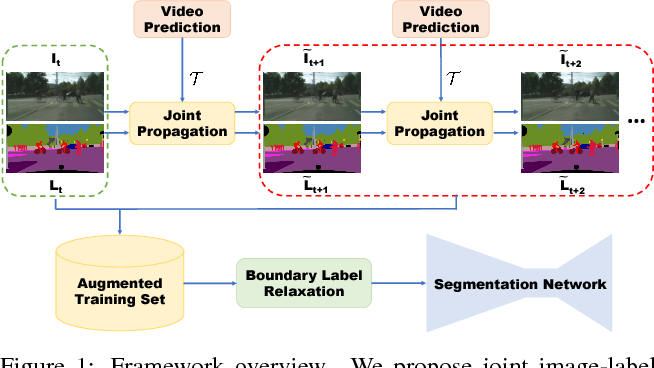 Here, we spatially-displaced convolution (SDC) module for video frame prediction. We learn a motion vector and a kernel for each pixel and synthesize a pixel by applying the kernel at a displaced location in the source image, defined by the predicted motion vector. Our approach inherits the merits of both vector-based and kernel-based approaches, while ameliorating their respective disadvantages. We train our model on 428K unlabelled 1080p video game frames. Our approach produces state-of-the-art results, achieving an SSIM score of 0.904 on high-definition YouTube-8M videos, 0.918 on Caltech Pedestrian videos. Our model handles large motion effectively and synthesizes crisp frames with consistent motion. 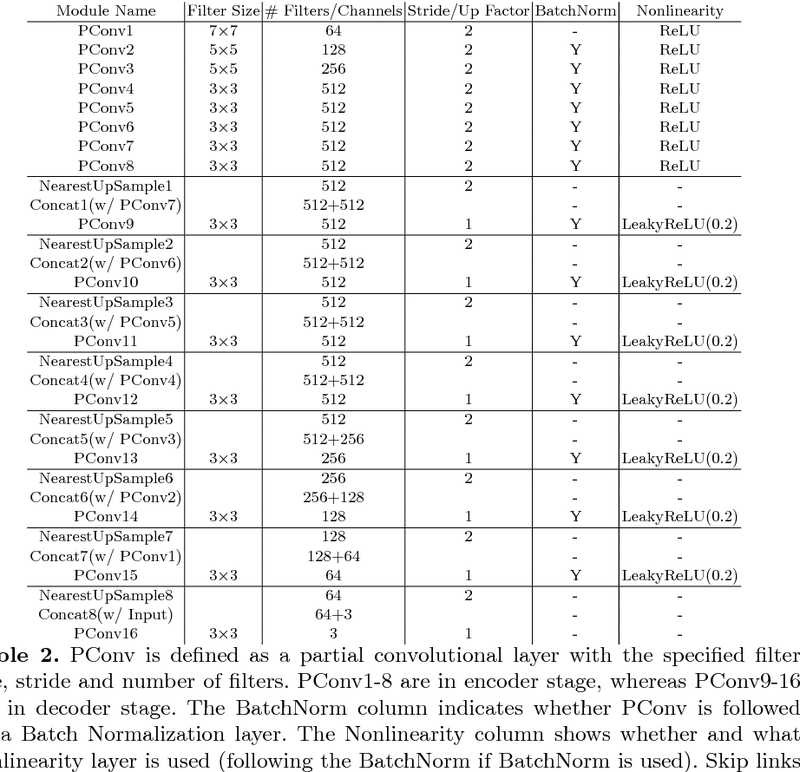 In this paper, we present a simple yet effective padding scheme that can be used as a drop-in module for existing convolutional neural networks. We call it partial convolution based padding, with the intuition that the padded region can be treated as holes and the original input as non-holes. Specifically, during the convolution operation, the convolution results are re-weighted near image borders based on the ratios between the padded area and the convolution sliding window area. 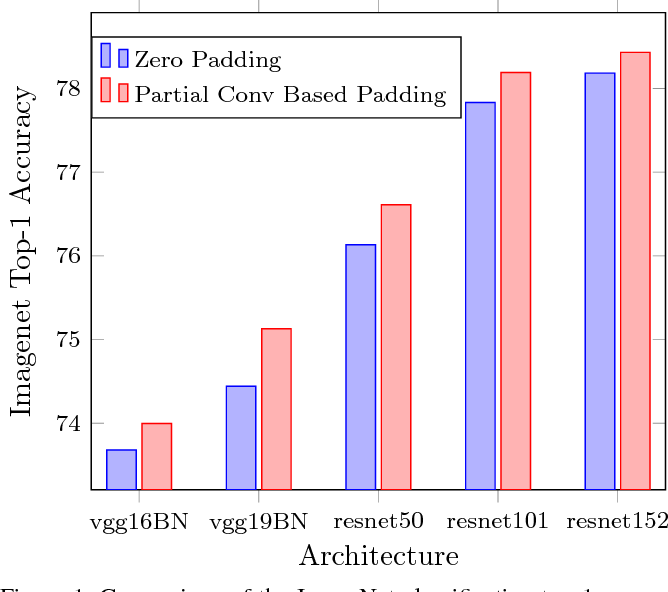 Extensive experiments with various deep network models on ImageNet classification and semantic segmentation demonstrate that the proposed padding scheme consistently outperforms standard zero padding with better accuracy. 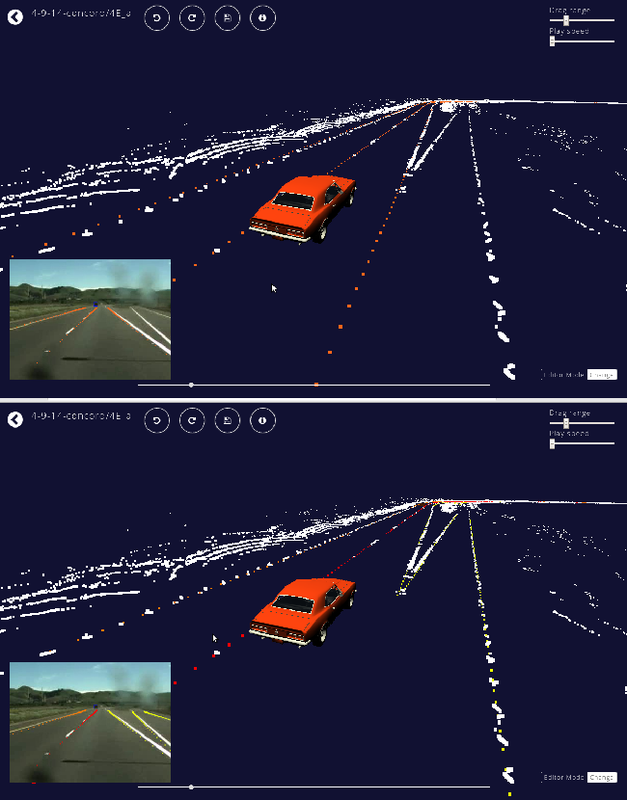 Numerous groups have applied a variety of deep learning techniques to computer vision problems in highway perception scenarios. 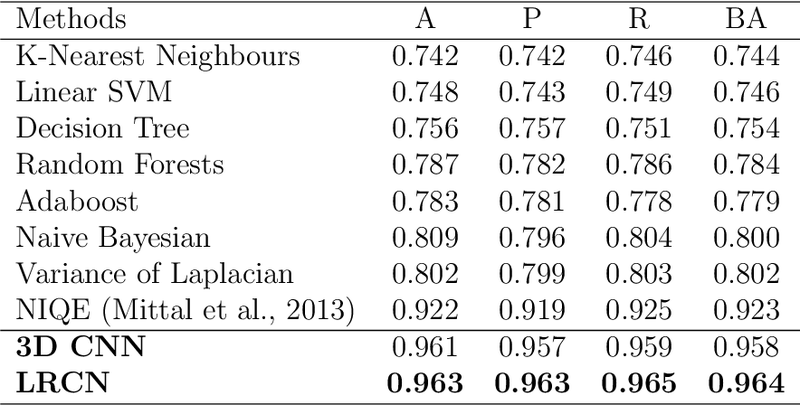 In this paper, we presented a number of empirical evaluations of recent deep learning advances. Computer vision, combined with deep learning, has the potential to bring about a relatively inexpensive, robust solution to autonomous driving. To prepare deep learning for industry uptake and practical applications, neural networks will require large data sets that represent all possible driving environments and scenarios. 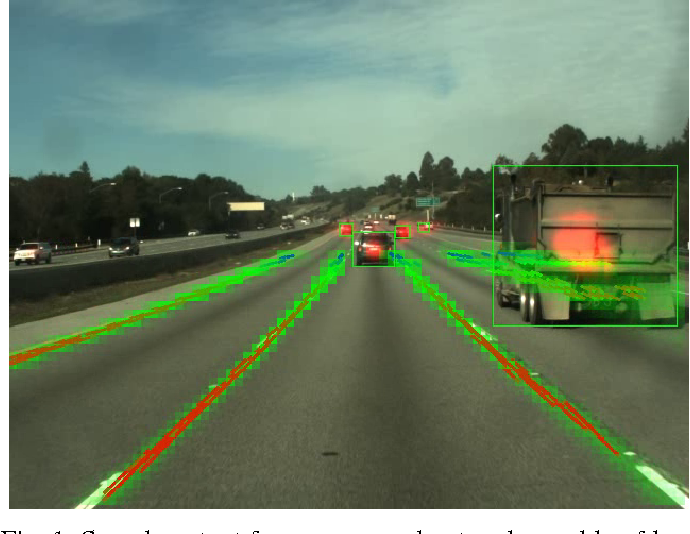 We collect a large data set of highway data and apply deep learning and computer vision algorithms to problems such as car and lane detection. 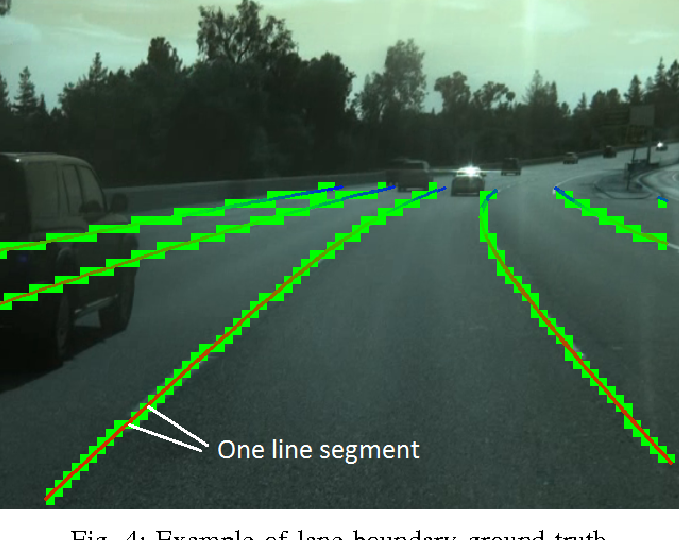 We show how existing convolutional neural networks (CNNs) can be used to perform lane and vehicle detection while running at frame rates required for a real-time system. Our results lend credence to the hypothesis that deep learning holds promise for autonomous driving. The Low-Power Image Recognition Challenge (LPIRC, https://rebootingcomputing.ieee.org/lpirc) is an annual competition started in 2015. The competition identifies the best technologies that can classify and detect objects in images efficiently (short execution time and low energy consumption) and accurately (high precision). Over the four years, the winners' scores have improved more than 24 times. As computer vision is widely used in many battery-powered systems (such as drones and mobile phones), the need for low-power computer vision will become increasingly important. This paper summarizes LPIRC 2018 by describing the three different tracks and the winners' solutions. Computer vision has achieved impressive progress in recent years. Meanwhile, mobile phones have become the primary computing platforms for millions of people. In addition to mobile phones, many autonomous systems rely on visual data for making decisions and some of these systems have limited energy (such as unmanned aerial vehicles also called drones and mobile robots). These systems rely on batteries and energy efficiency is critical. This article serves two main purposes: (1) Examine the state-of-the-art for low-power solutions to detect objects in images. Since 2015, the IEEE Annual International Low-Power Image Recognition Challenge (LPIRC) has been held to identify the most energy-efficient computer vision solutions. This article summarizes 2018 winners' solutions. (2) Suggest directions for research as well as opportunities for low-power computer vision. Magnetic Resonance Fingerprinting (MRF) is a new approach to quantitative magnetic resonance imaging that allows simultaneous measurement of multiple tissue properties in a single, time-efficient acquisition. 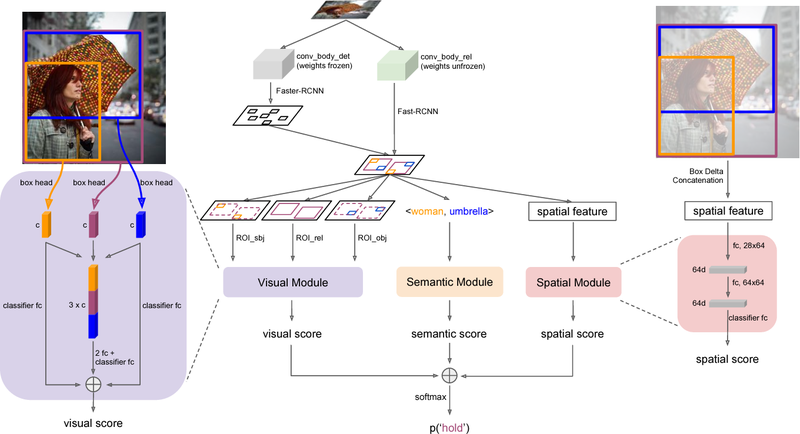 Standard MRF reconstructs parametric maps using dictionary matching and lacks scalability due to computational inefficiency. 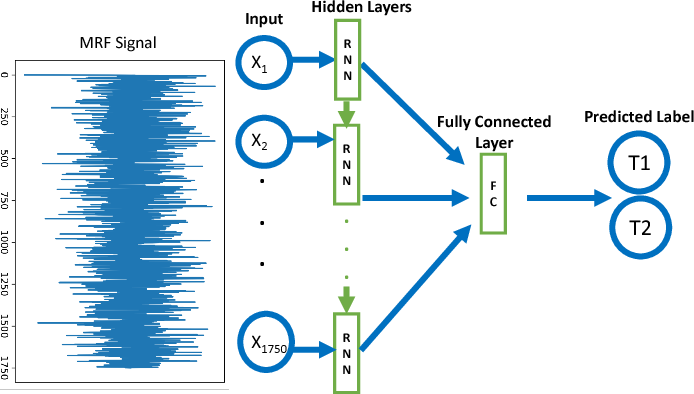 We propose to perform MRF map reconstruction using a recurrent neural network, which exploits the time-dependent information of the MRF signal evolution. We evaluate our method on multiparametric synthetic signals and compare it to existing MRF map reconstruction approaches, including those based on neural networks. Our method achieves state-of-the-art estimates of T1 and T2 values. 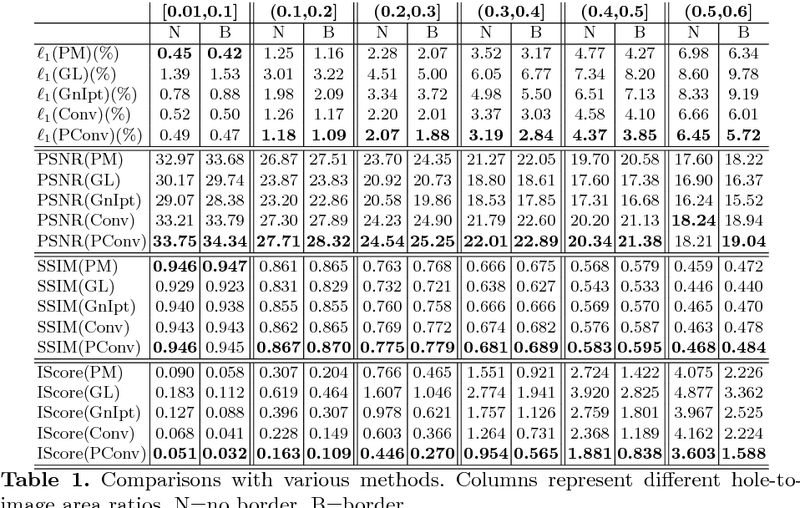 In addition, the reconstruction time is significantly reduced compared to dictionary-matching based approaches. Quality assessment of medical images is essential for complete automation of image processing pipelines. For large population studies such as the UK Biobank, artefacts such as those caused by heart motion are problematic and manual identification is tedious and time-consuming. Therefore, there is an urgent need for automatic image quality assessment techniques. In this paper, we propose a method to automatically detect the presence of motion-related artefacts in cardiac magnetic resonance (CMR) images. As this is a highly imbalanced classification problem (due to the high number of good quality images compared to the low number of images with motion artefacts), we propose a novel k-space based training data augmentation approach in order to address this problem. Our method is based on 3D spatio-temporal Convolutional Neural Networks, and is able to detect 2D+time short axis images with motion artefacts in less than 1ms. We test our algorithm on a subset of the UK Biobank dataset consisting of 3465 CMR images and achieve not only high accuracy in detection of motion artefacts, but also high precision and recall. We compare our approach to a range of state-of-the-art quality assessment methods. Good quality of medical images is a prerequisite for the success of subsequent image analysis pipelines. Quality assessment of medical images is therefore an essential activity and for large population studies such as the UK Biobank (UKBB), manual identification of artefacts such as those caused by unanticipated motion is tedious and time-consuming. Therefore, there is an urgent need for automatic image quality assessment techniques. 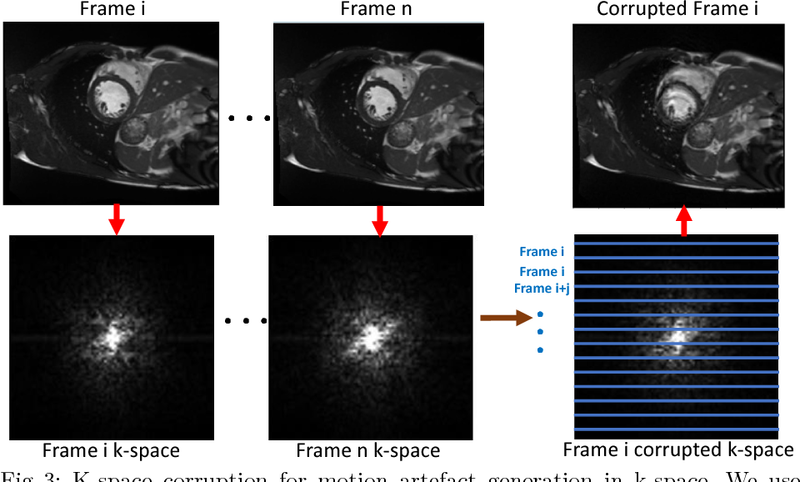 In this paper, we propose a method to automatically detect the presence of motion-related artefacts in cardiac magnetic resonance (CMR) cine images. We compare two deep learning architectures to classify poor quality CMR images: 1) 3D spatio-temporal Convolutional Neural Networks (3D-CNN), 2) Long-term Recurrent Convolutional Network (LRCN). Though in real clinical setup motion artefacts are common, high-quality imaging of UKBB, which comprises cross-sectional population data of volunteers who do not necessarily have health problems creates a highly imbalanced classification problem. Due to the high number of good quality images compared to the relatively low number of images with motion artefacts, we propose a novel data augmentation scheme based on synthetic artefact creation in k-space. We also investigate a learning approach using a predetermined curriculum based on synthetic artefact severity. We evaluate our pipeline on a subset of the UK Biobank data set consisting of 3510 CMR images. The LRCN architecture outperformed the 3D-CNN architecture and was able to detect 2D+time short axis images with motion artefacts in less than 1ms with high recall. We compare our approach to a range of state-of-the-art quality assessment methods. 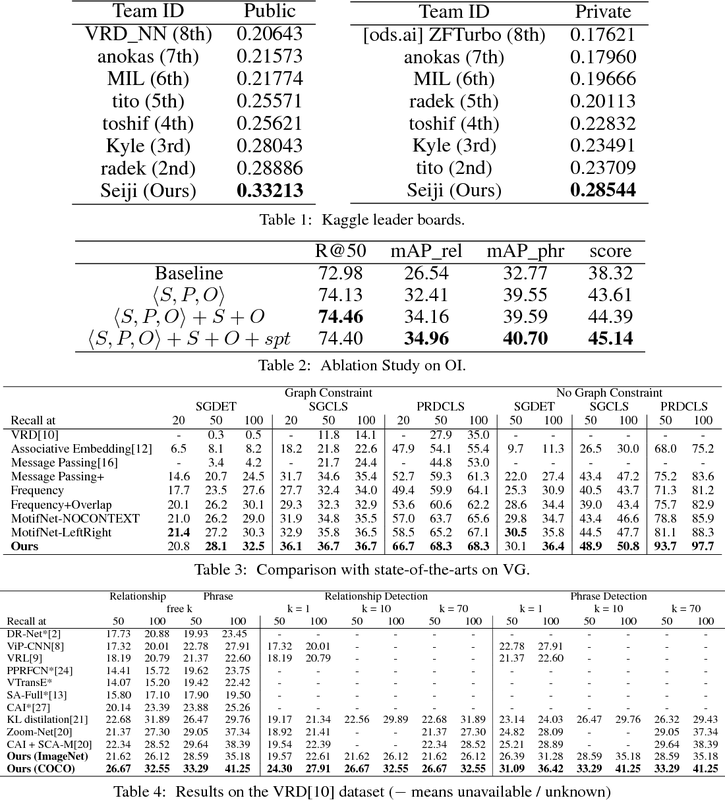 The novel data augmentation and curriculum learning approaches both improved classification performance achieving overall area under the ROC curve of 0.89.